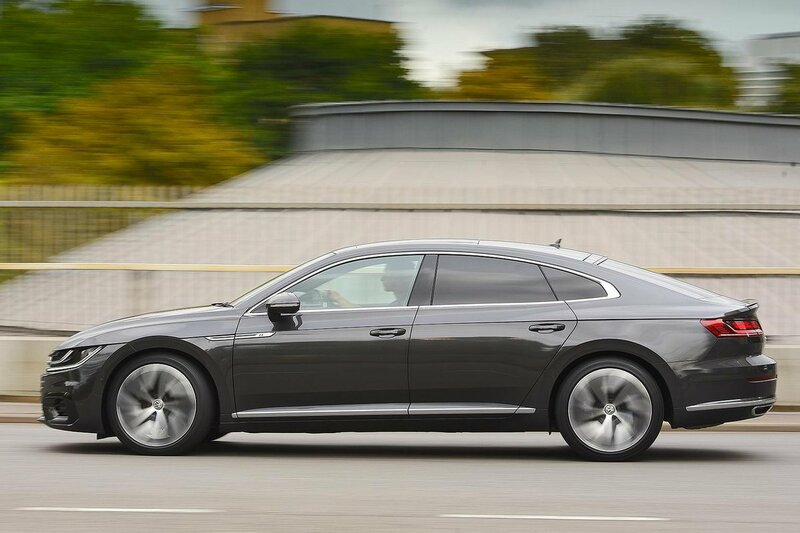 Volkswagen Arteon Review 2019 | What Car? So there you are, sitting in the Volkswagen showroom opposite your salesperson’s broad smile and Polo-white teeth, just about to sign on the line for a new Passat. But hang on; out of the corner of your eye, you spy something glinting away. It looks like a Passat, yet it’s glitzier, sleeker and altogether more you. Ah, yes – that would be the Arteon. The Arteon is essentially a Passat, but it's slightly longer, lower and wider, with a distinctive coupé-like roofline that tapers smoothly into the boot, giving it a swankier, more upmarket appearance. And that's exactly the way VW pitches it: an upmarket car to rival the likes of the Audi A5 Sportback and BMW 4 Series Gran Coupé. 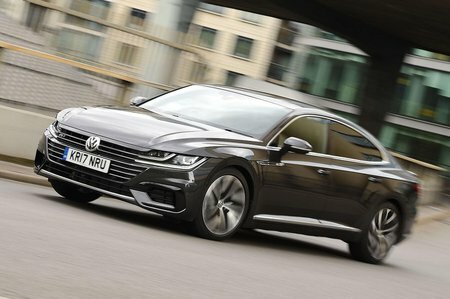 Like those two, the Arteon retains the practical four-door layout of the saloon upon which it’s based, so along with style comes almost as much practicality. But let’s return to that showroom scenario. Should you go with your head and sign up for the Passat, or your heart and swap to the Arteon – or, indeed, one of its aforementioned rivals? Read on and we’ll guide you through all the details. If you are persuaded that the Arteon is the car for you, you can also get the very best deals through our new car deals page.